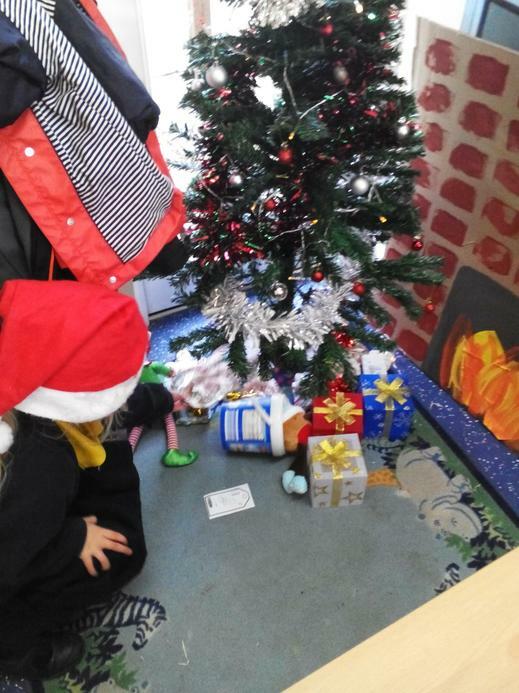 Giant class have been having a very Christmassy week! We started the week by drawing a picture and writing a letter to send to Father Christmas. 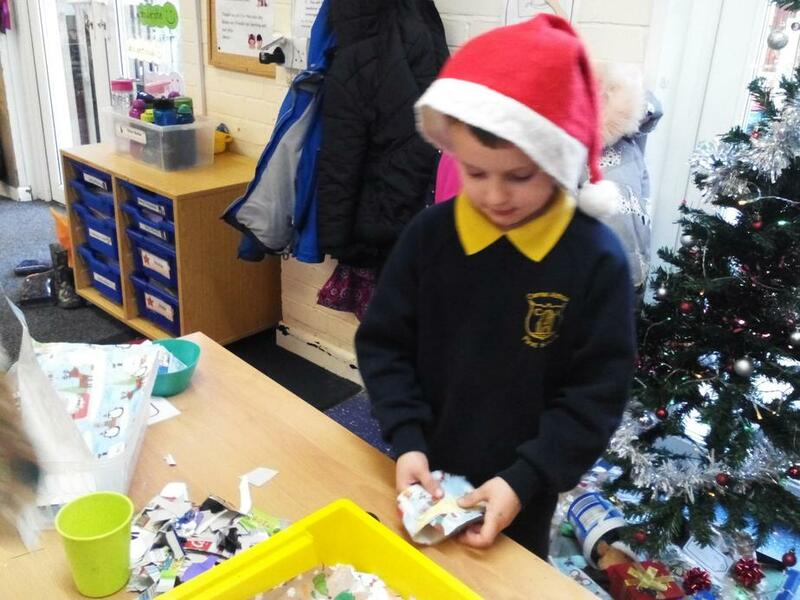 We folded our letters and put them in envelopes with the address for Father Christmas and a stamp. 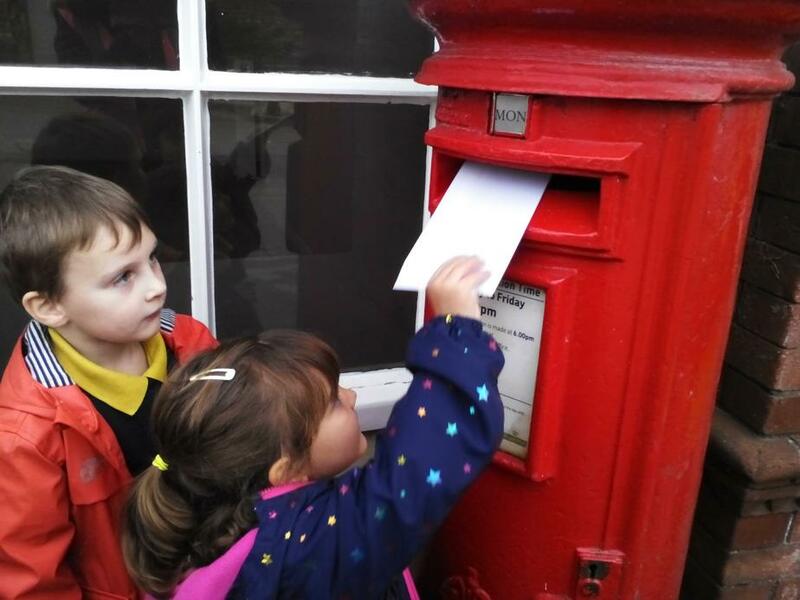 We then walked down to the post box to post our letters, they should be with Father Christmas very soon! On Tuesday we went on a trip to the United Church in Dorchester as part of the Journey to a Stable project. We worked in groups and went around the different stations, learning about the different people in the Christmas story and making/collecting different things to make us think about how people were feeling. We walked into a candlelit stable scene at the very end with real hay and a manager for baby Jesus. 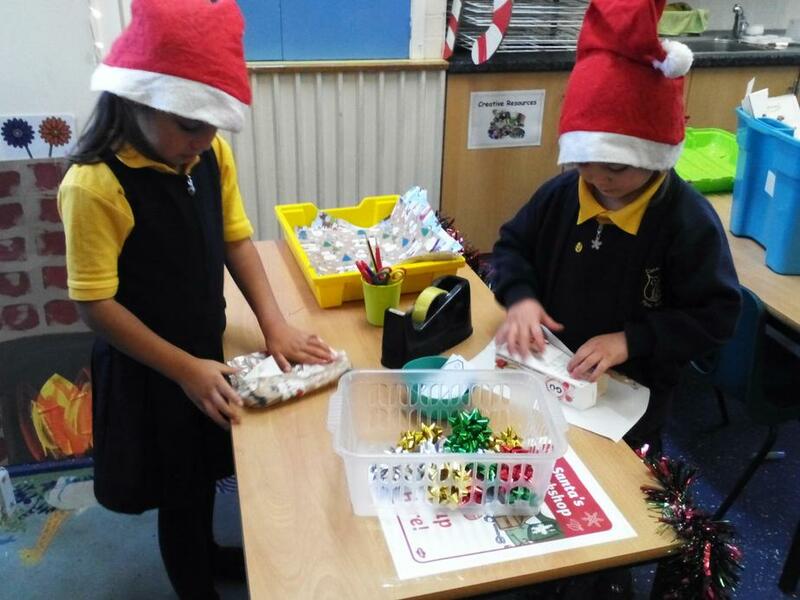 Back in the classroom we have been working as busy Christmas elves in our Santa's workshop, wrapping presents to put under the Christmas tree! We have been wrapping carefully with sellotape and adding bows and labels- I'm sure there will be some expert wrapping helpers for Christmas presents this year! We also used balance scales to weigh and compare the weights of different presents. We have been learning to use the words 'heavier' and 'lighter'. 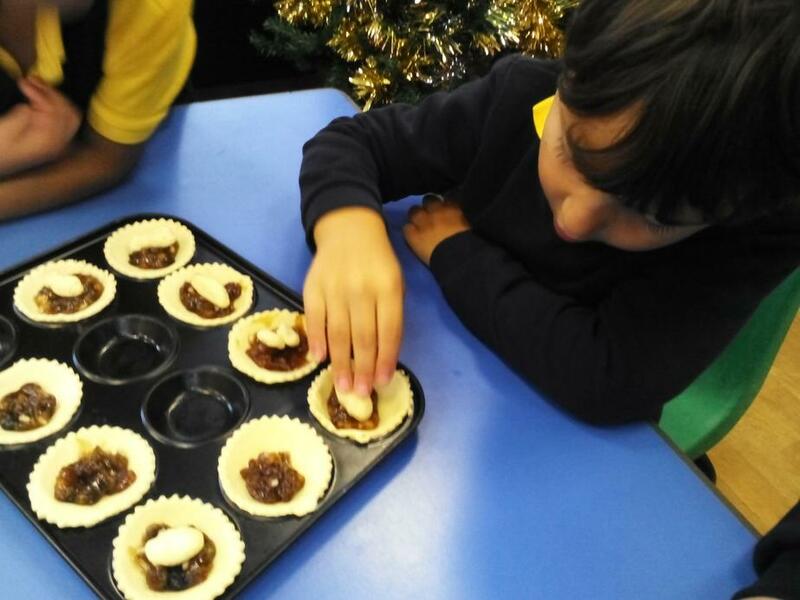 We were also busy elves in the kitchen this week, making mince pies! We moulded a pastry baby Jesus on the top to help us remember Jesus being born in the manger. Thank you for all the adults who came to our learning exposure on Thursday. We hope you enjoyed your mince pie! We hope to see you all at our Christmas Nativity Performances at St Mary's Church next week!